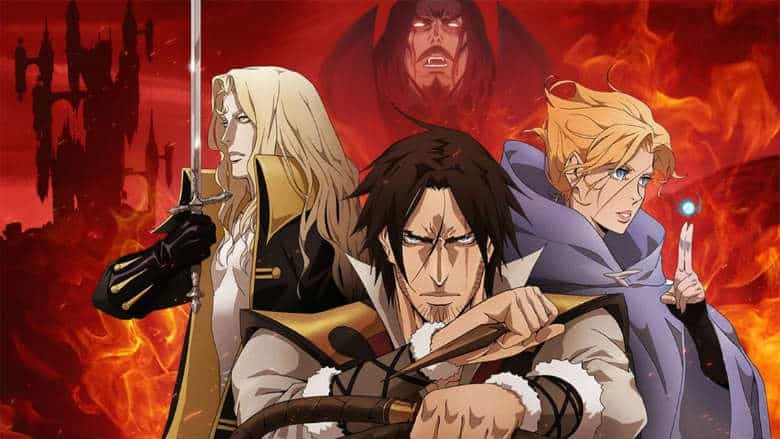 Castlevania Season 3 Greenlit at Netflix | Nerd Much? 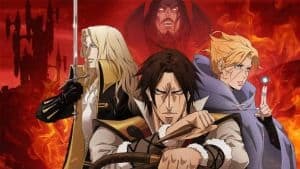 The first season of Netflix’s Castlevania debuted to the world nearly a year ago last July. On the same day that the four episode miniseries began streaming, Netflix confirmed that Season 2 was being greenlit as well. And apparently their confidence continues, because production for Season 3 of the show is ready to commence as well. The news was broken by Richard Armitage, the actor that voices Trevor Belmont within the show. Speaking to Digital Spy, Armitage said “We’re about to record a third. The second season hasn’t been aired yet, but we’re about to do a third.” Digital Spy then reached out to Netflix for an official statement on the news, but the company opted not to provide confirmation either way. Season 1 of the show did quite well from a viewership and critical standpoint. Netflix doesn’t release hard numbers, but Parrot Analytics listed the series as the the most popular digital original series in the United States during July 6–19, 2017. Critics too have raved about it. The series holds a Certified Fresh rating of 86% on Rotten Tomatoes with an average rating of 7.39 out of 10. Castlevania was written by Warren Ellis based upon a script that was originally intended to be an animated film. Ellis began working on the movie around 2007. It wasn’t until 2015 that the effort paid off when Netflix decided to pick it up as a series.